Teach English in Ashkelon, Israel & find out what you’re made of! What is Masa Israel Teaching Fellows? MITF is a 10-month fellowship for Jewish college graduates, between the ages of 21 and 35, who want to contribute to the future success of Israeli children and make a real difference. 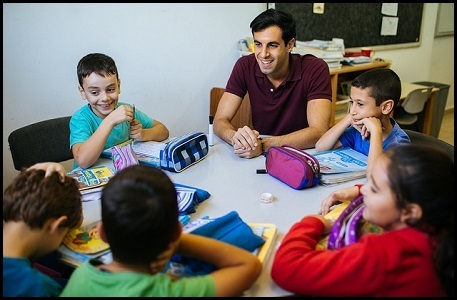 Teach English while immersing yourself in Israeli society and become an integral member of the city in which you live, teach and volunteer. MITF is a partnership between Masa Israel Journey and the Ministry of Education. Masa Israel offers a uniquely transformative experience; we believe that Israel is the perfect platform for young adults who are eager to explore, experience, and develop skills for a lifetime of achievement. With Chabad on Campus - MITF, you will experience unique social and educational programming, like that of Chabad on Campus back home which you know and love, in addition to the incredible English Teaching experience. 7. The kids learn English and have you as a mentor. Everyone wins! **No Hebrew language skills are required and availability is limited, so don't miss out! Chabad on Campus is a home away from home for Jewish students on over 500 campuses throughout the world. At Chabad houses, students can experience the joy, relevancy, and warmth of Judaism in a welcoming and nonjudgmental way. In hosting the MITF Ashkelon cohort, Chabad on Campus looks forward to continuing YOUR experience with Chabad at your university. By providing educational, social and experiential opportunities that will complement your teaching experience and help you maximize your year. Staple COC offerings like family Shabbat meals, learning opportunities, social events and Shabbatons will be built into the extracurricular schedule. The network of 250 Chabad houses will be a resource that we can tap into during our year here.. And it's always a good time with Chabad! 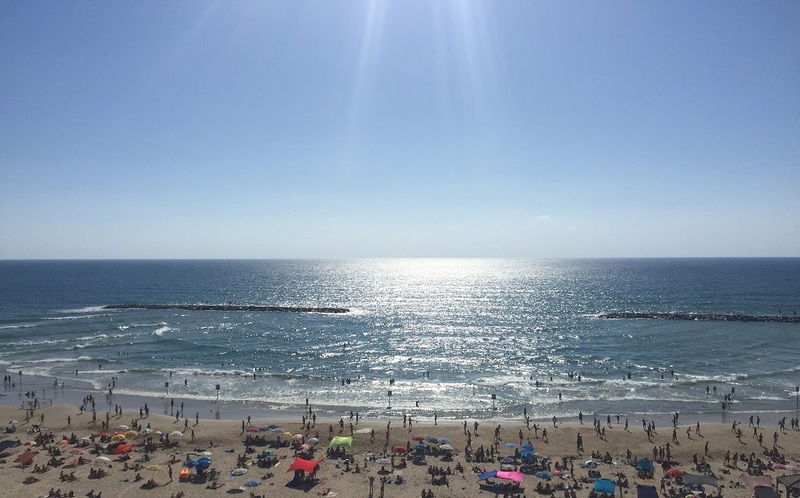 The southern coastal city of Ashkelon is a place with gleaming, sandy beaches and a rich history. Its small yet warm and welcoming community is home to immigrants from Morocco, Iraq, Ethiopia, and the Former Soviet Union. 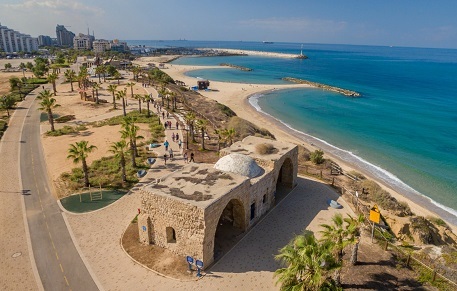 The city boasts a clean shoreline, beautiful parks, and several archaeological sites and museums with displays of artifacts from Neolithic, Canaanite, and Byzantine civilizations. In the evenings, head over to the Marina or Migdal Center to visit one of their many local shops, restaurants, cafes, and pubs. Conveniently located, buses and trains travel regularly to from Ashkelon to the central stations of Tel Aviv, Jerusalem, Haifa, and Be’er Sheva. Masa Israel Journey. All rights reserved.